The 2012 NASCAR stock car racing calendar is finally out, for the Sprint Cup series. But the Nationwide and Truck tour schedules are still apparently works-in-progress. -- Kansas Speedway on April 22, much earlier than before, and again in the fall playoffs Oct. 21, much later. The changes are to give that track time for a major repave. -- Talladega, in effect, is giving its two dates to Kansas and moving its own Cup events to May 6th and Oct. 7th. -- Dover moves back to June, after the May date yielded smaller crowds than typical. -- With the Daytona 500 having been moved a week later, to Feb. 26, the tour's following two events, at Phoenix and Las Vegas likewise move a week later. -- Taking Easter into account, Texas' spring race is moving to April 14th. -- Kentucky Speedway's summer event will move to June 30th. Specific race times were not announced. Nor is it clear when the Nationwide and Truck tour schedules will be released. Negotiations are apparently still on-going for NASCAR to return to Montreal with the Nationwide tour. And there is speculation that the Nationwide tour, which is losing events at Nashville Speedway, may add events at Rockingham (N.C.) Speedway. Submitted by fireballroberts on Thu 09/29/2011 - 11:00. Another boring start to the Chase is coming in 2012. Chicago and New Hampshire make you want to take a nap, or keep the channel on the NFL game of choice. As you've preached before, Mike, we need some better tracks to get things going in the Chase and get people interested. Those two tracks don't do that. - NASCAR needs to swap the Bristol and Texas dates in the spring. 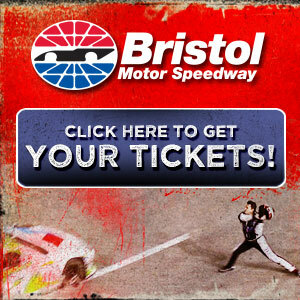 Mid-March is too early to be going to Bristol. It's cold, and usually rainy. Swap those two dates and I think the crowd at Bristol would improve. - If NASCAR wanted to really shake things up, then begin and END the season at Daytona. I know there is supposedly some deal in place with the town to have the race there in July, but they need something better than Homestead for the finale, and what better track to have the season ender at. - The Cup Series needs to add an Iowa date soon. Would still like to see Gateway and Nashville have Cup races someday if Bruton will buy those tracks and resurrect them. They are just as worthy as Kansas and Chicago as far as racabilty. Would also like to see Rockingham get at least one date back, too. It's a unique track, and NASCAR needs more of these types of tracks rather than more Charlotte clones (Texas, Chicago, Kansas) on the Cup schedule. - I read that the truck series may also go to Gresham Motorsports Park (formally Peach State Speedway) in Gresham, Georgia. I would love to see it. Hopefully NASCAR will get back to the Nationwide and Truck series being their own series instead of running them as companion events with the Cup races every week. The points system change was good for these series, but they now need to take it one step further and have more separate races so that the Cup guys aren't stealing the wins each week.